A leading transport campaigner has accused the Government of blocking reform of the system under which rail firms receive huge amounts of compensation for disruption to services, dwarfing payments to passengers. 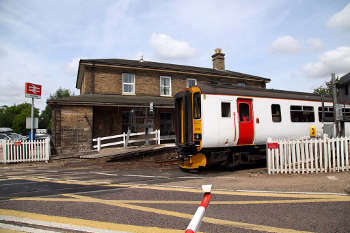 As bad weather disrupted rail services, including some firms pre-emptively cancelling trains, the Telegraph reported that between 2011 and 2017 rail companies were paid more than £2bn in compensation by Network Rail for disruption caused by bad weather, engineering work and other disruption, while passengers received just £187m compensation. Conservative MP Tim Loughton told the Telegraph: ‘It's a complete scandal. They are being paid for failure, they are profiting from delays and cancellations. There is no way that they should be holding onto that money. A spokesperson for the Department for Transport said: ‘Our new rail strategy will mean train operators working more closely with those responsible for the track and signalling as part of one organisation, tasked with reducing disruption. This aims to move away from the culture of apportioning blame when things go wrong, and towards a steadfast focus on providing the best possible service to passengers. A spokesman for the Rail Delivery Group, which represents both train firms and Network Rail, said: ‘These payments are overseen by the rail regulator which says that they keep costs down for taxpayers and farepayers, and they are completely separate from the money customers rightly receive for delays.